I am loving the Perch fishing, you need less kit and time. 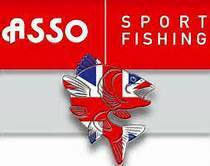 It may even teach me to take less carp fishing! But that’s not possible. I have come back to my local lake and my first port of call is the pads swim by the bridge. This is the most productive spot so far for me, it has plenty of features and a few good signs of baitfish for the Perch this morning. I am sticking to the prawns, simply because I forget to dig for worms yesterday and the ground is frozen solid in my garden this morning – not very organized for me. These things happen. After about an hour and a half, with a twitch to my left-hand rod in the first 20 minutes, I was very hopeful. But it was time to move on. My second swim gave me plenty of options but the buzzers stayed silent. As before I, flicked the jig rod about before I moved on to my next and last swim. Some heavy rain is due and with no brolly with me, I just don’t fancy getting wet. It was not long before I received a twitch on the left-hand rod, fingers crossed something will turn up and I will bank a nice perch today. Despite best efforts today, it was not meet to be. This entry was posted in Course Fishing, Finygo, Fishing, Fishing App, Fishing Video's, lake fishing, Perch Fishing, Spotted Fin, winter fishing and tagged #perch, #perchfisghing, #spottedfin, assofishinglines. Bookmark the permalink.